Single axle, Good shape, needs a full size spare, has a small spare. New in 2008 Evenrude 115 E-Tec Motor with less than 20hr, SS Prop., Bimini top, Jack plate, great white trolling motor, not mounted hydraulic steering. Bought another boat and motor. 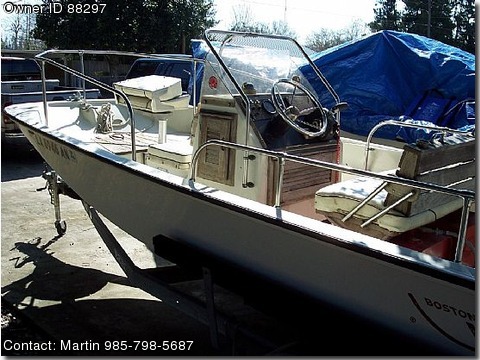 Great fisher or family boat.Cheap on gas and oil.